Observation - Ivy-Leaved Toadflax - UK and Ireland. Description: An Ivy-Leaved Toadflax growing on a wall in Steyning, West Sussex, in December 2012. 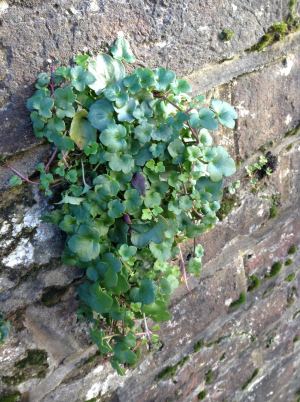 An Ivy-Leaved Toadflax growing on a wall in Steyning, West Sussex, in December 2012.